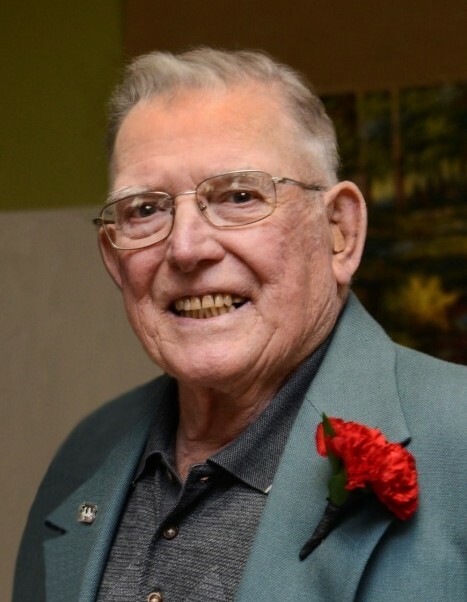 Neil Lee Bowen, age 83, of Floral City, FL and Wellsboro, PA passed away at his home in Florida on January 30, 2019. Neil was born on July 20, 1935 in Wellsboro, PA to the late Clark David and Mildred Ruth (Edwards) Bowen. He graduated from Charleston High School and earned his Bachelor of Science Degree in Dairy Science from Penn State University. While at Penn State, he received the Clyde Hall Award for being the top dairy student of the year. He was a prominent Dairy Farmer, raising purebred registered Holstein cattle from 1957 until his retirement in 1991. Neil was a member of the former Welsh Settlement Church; AAA; AARP; the North Central Agricultural Authority; the National Holstein Association; the Pennsylvania Holstein Association; DHIA; Loyal Order of Moose; Dairy Shrine Club; Dairylea Cooperative; and the Wellsboro Jaycees. He held committee positions with Agway and the extension service. Neil was President of the Pennsylvania Holstein Association from 1973-74. He helped many 4-H judging teams and was a popular judge for many cattle shows in various states from 1967-1976. He received the Pennsylvania Young Farmer Award from the Wellsboro Jaycees in 1976. On June 16, 1957, Neil married Marlene (Torpy) with whom he shared 61 years of marriage. After retirement, he and Marlene became Florida “Snowbirds” with plans to become permanent Florida residents this year. He attended worship services at the First Presbyterian Church of Inverness. Neil’s hobbies included golf, hunting, and playing cards with friends. He took numerous fishing trips to Lake Ontario Canada, New Jersey, and Maryland. He and Marlene traveled in their motor home to 47 of the lower 48 states and took vacations to Alaska and Hawaii. Travelling the world on 8 different cruises, Neil and Marlene renewed their vows onboard in the captain’s quarters to celebrate their 50th Anniversary in 2007. In addition to his wife Marlene and his older brother Glenn, Neil is survived by his two daughters: Rhonda Bowen of Germany and Marcia Bowen of Orlando, FL, along with numerous nieces and nephews and their children. Cremation services were provided by Chas E. Davis Funeral Home with Crematory in Inverness, Florida. Neil’s urn will be laid to rest at Tioga County Memorial Gardens in Mansfield, PA under the direction of Tussey-Mosher Funeral Home. There are no graveside services scheduled. Memorials may be made to the charity of your choice. To share your fondest memories of Neil, please visit www.tusseymosher.com.